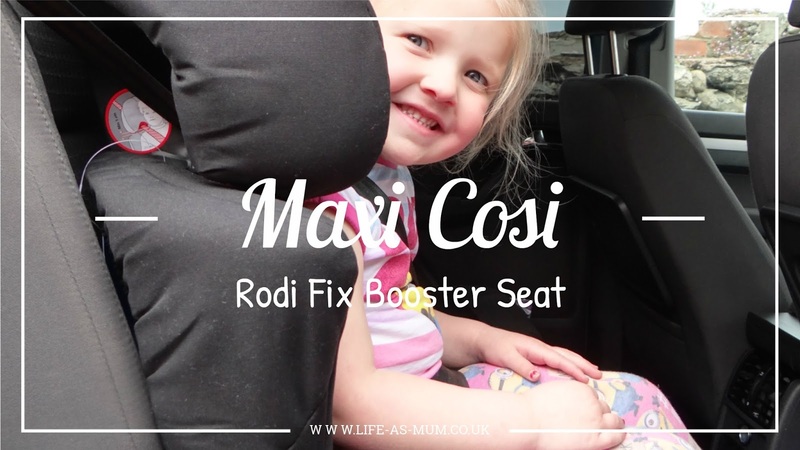 A few weeks ago we received the Maxi Cosi RodiFix booster car seat to test out. When it arrived I was pleased at how light it was because the last thing I needed was to carry a heavy seat. I was very pleased with how padded the whole car seat was and it seemed very comfortable. We couldn't wait to get it into the car and for one of the girls to test it out. First, Elliw tested this car seat out. She is 4 years old and this booster car seat is suitable for 3.5 - 12 year olds which is ideal as it grows with your child and means you will not have to buy another car seat as they grow older. When buying a car seat the first thing we think about is how safe is it? This booster seat features an air protect advanced side impact technology which protects your child's head, if ever in a crash. The car seat was very simple to put into the car and has simple instructions showing you how to put the belt around the car seat and child correctly. The headrest grows with your child by going up and down which also helps with the belt positioning for a safer journey and make sure your belt is in the best position. When Mia tried out the Maxi Cosi RodiFix Booster Car Seat she could easily belt herself in and again, she was very comfortable in the booster. Comparing this booster to the other booster car seats I have had for the girls, this one has to be the most nicest looking, most comfortable and safest one. I am really impressed with how safe this booster seat is and looks. 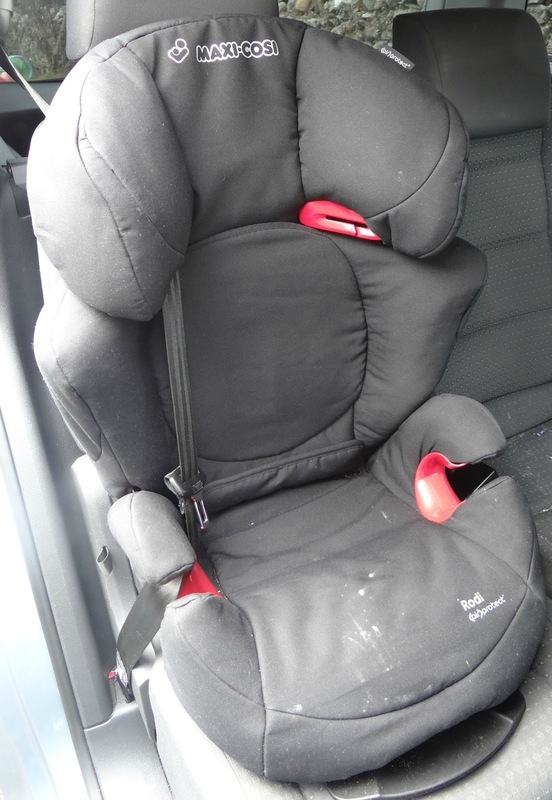 As you can see in the photos car seats get dirty with children. But having a cover that is easily removable to clean is a bonus for parents. • This booster is suitable for children 30-120 lbs and up to the height of 57"
You can visit Maxi Cosi's website here for more products. * I received this product free of charge in return of an honest review. All photos and words are my own. This booster seat looks great. I currently have 2 booster seats for the kids I don't like. I will check these out. Now this seat is going to last a long time. It looks like a comfy and safe seat too! Looks like a cosy seat! They should make one for adults, haha! I am bookmarking all these types of reviews for when our little one is at the age where we need it. What a comfy looking seat, my nephew will need a car seat soon. Looks so comfortable! Do they do adult sized ones? lol Your child seems to love it! As long as ther booster seat is comfortable and safe. Hey are two important factors! The seat looks very comfy, I will need another one soon for little man. For a booster seat this actually does look really comfy! Maxi Cosi have always made such great products, this one looks like another fab seat! It is so important to have a good car seat, but how things have changed, I used to just bounce around in the back when I was that age. I love MaxiCosi and we have a couple of baby/toddler seats for our children. I'd love a MaxiCosi booster seat for the older 2.